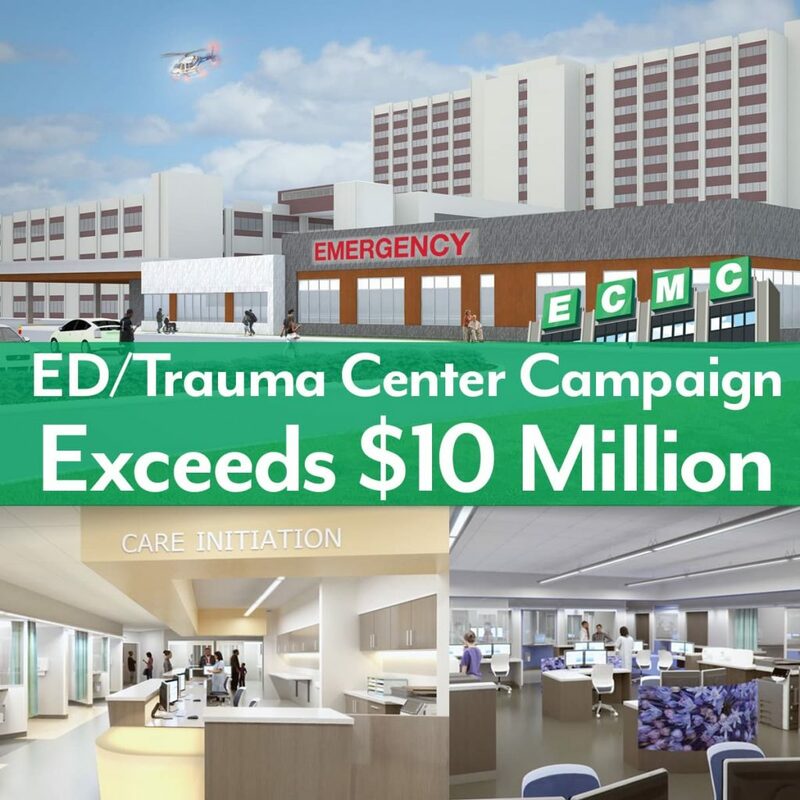 BUFFALO, NEW YORK – Erie County Medical Center (ECMC) Corporation today announced it has received over $10.2 million in private funding for the hospital’s future Trauma Center and Emergency Department. 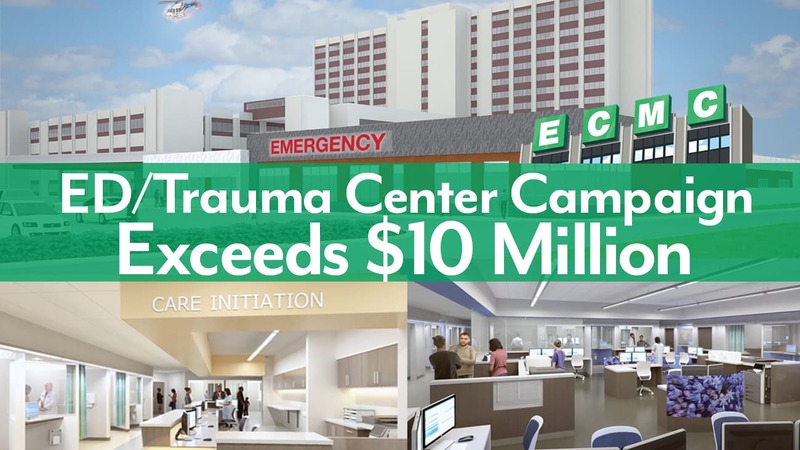 The fundraising milestone was achieved midway through the institution’s campaign of raising $15 million for the project that will double the size of the existing facility. In 2018, ECMC’s Trauma Center and Emergency Department caregivers provided critically important lifesaving services to over 70,000 patients, the highest one-year volume in ECMC’s history in a facility designed in the 1970’s to accommodate 45,000 patients annually. ECMC broke ground this past June for the new Trauma Center and Emergency Department, which will double the size of the existing facility to 54,000sf. it is expected to be completed by the first quarter of 2020. As the region’s busiest and only Level 1 Adult Trauma Center and Emergency Department serving the 1.5 million residents of the eight counties of Western New York, the new facility will help ECMC meet current and future demands for appropriate trauma and emergency care. The Trauma Center and Emergency Department serves patients for trauma, burn, emergency psychiatric conditions via ECMC’s Comprehensive Psychiatric Emergency Program (“CPEP”) and traditional medical conditions; it is best suited of any of the region’s Emergency Departments to handle mass casualty, disaster-related circumstances. The new Emergency Department will contain greater efficiencies in patient flow and staff workflow thereby enabling the Department’s medical services team to achieve high quality standards and outcomes. The customized layout of the space will better align with physician and staff work flow while creating a more patient-oriented space containing larger rooms to accommodate patients’ families and the medical services team. ECMC’s new Trauma Center and Emergency Department addresses an important community need by expanding its capacity to serve patients that require emergency medical attention, serve as a referral source for other area hospitals to transfer patients that require specialized emergency care, advance ECMC’s engagement and investment in the City of Buffalo’s Delevan-Grider Corridor, and build on ECMC’s growing and dynamic relationship with the Kaleida Health System and the University at Buffalo (Jacobs School of Medicine and Biomedical Sciences).